Ok so it seems like lots of people have other tunes so maybe you can help. Can some of you please answer the questions below about your tunes. - Did gas mileage go way down? - Does truck shift smoothly still? - Is the truck "Drive-able" on Street/Highway? - Any over heating issue? Those are all very subjective. - Did gas mileage go way down? - Either your gas mileage went up, went down or stayed the same. - Is the truck "Drive-able" on Street/Highway? - Does you Girlfriend/wife/mom now hate driving with you because your truck lights the tires up at every light - shifts so hard they spill their coffee - holds gear so you constantly sound like you want to race - etc. - Any over heating issue? - The truck gets a lot hotter, a bit hotter or stayed the same as factory. - Would you do it again? - You either would do it again or you would spend you money elsewhere. - Pros. vs Cons.? Any other negatives or positives the truck owner would like to share. Last edited by NBK; 10-29-2017 at 09:55 AM. Last edited by TX-Ripper; 10-29-2017 at 06:30 PM. that is about as good as you will get! the way you drive will greatly affect the mpg and probably even how another person would feel the shifting. This DEFINITELY applies to 'lighting up the tires' - if you ONLY drive with either pedal fully down or off the gas then yes the tires would be lit. I think with your final 2 question you are trying to determine who regrets it. The tunes are smart enough and the truck is smart enough where I get the impression you will never feel the fact that it is tuned. it will operate as normal just with more power. An additional point is cost, and that too is very subjective. it is totally worth it to me to spend $600 for 100+ rwhp and 123 ft/tq but that does NOT apply to everyone. I'm waiting to hear when this will be available for the 2018.
does anyone know if this tune will disable the start stop? Also, does this tune change the transmission feel? I just walked out of the dealer picking up my '17 Plat. I am having them put on the Power Pack Level 2 and it should be ready by Friday. I was told, and have it documented, that this does not void my warranty since a certified Ford and Roush installer was doing it. Price was same as online. No brainer at 0% finance. Looking forward to hearing your review before and after install! Sorry for the late response here guys. I did get it installed and I like it. At first I was not sure I would like the Roush growl, but I do. It sounded like a Razor to me. On startup the grumble is awesome, but it does come up in pitch pretty high. I knew this would not be an ATAK. I didn't think I would be able to talk on the phone, but people say on the other end that it is not a problem. The performance is awesome for someone like me who didn't want to go deep into tunes, programming, etc. In sport mode it hauls ***! I'm actually not sure if the flash does anything in regular mode. I need to research that, just been busy. 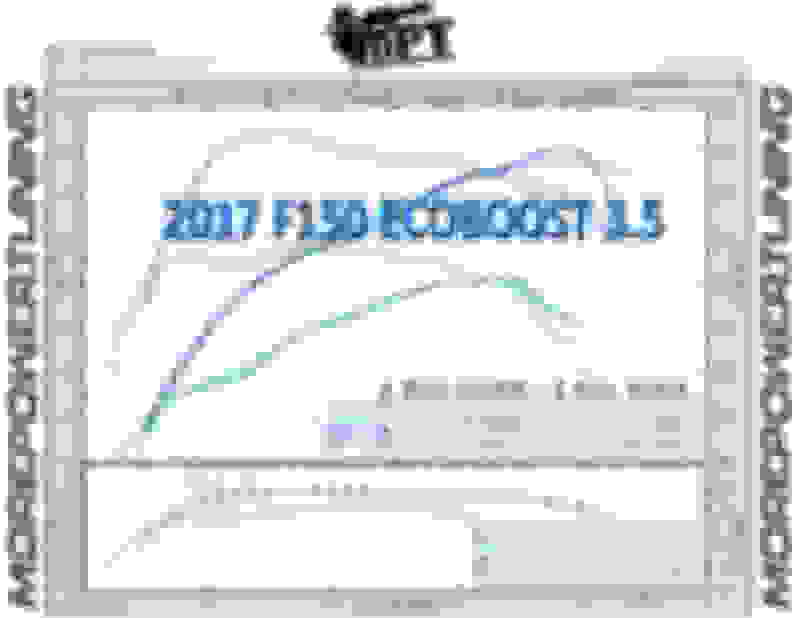 I did not drive my new '17 without the Power Pack on because I had them do it straight from my order., but I did trade in my '13 eco FX4 so I can compare it. It blows it out of the water. I'm sure aluminum frame, more stock HP, tune, and the like all help. would say just make sure you like the exhaust/muffler sound first. It has grown on me. Fox shocks and catch can are in the mail. 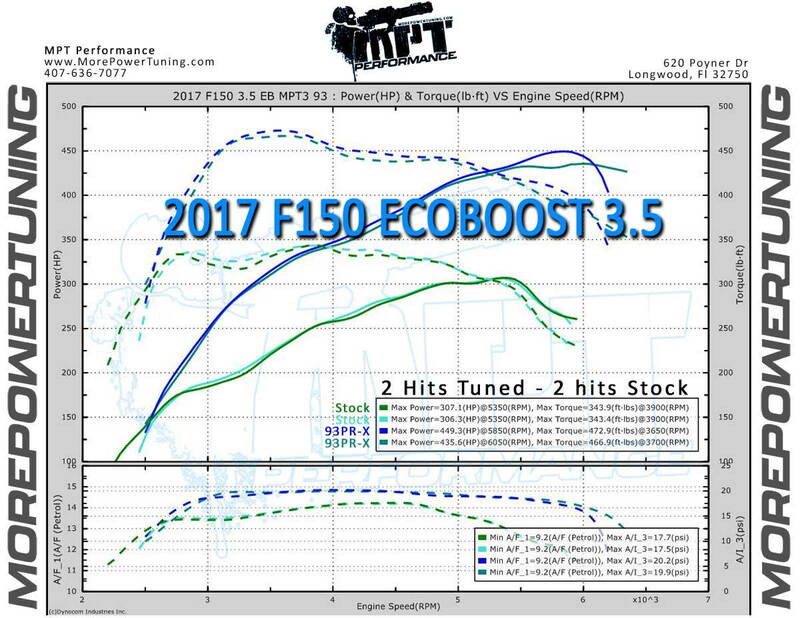 I think MPT was claiming nearly 450 whp on an otherwise stock truck. So i am not surprised in the least that they picked up 111 hp seeing as MPT picked up nearly 150. The 2017's are no joke. They dont seem to crap out up top like the first gens. Am I the only person that finds those stock numbers to be stupidly low? Maybe not so much the hp, but the torque is a huge miss. Since when does the 5.0 have more midrange torque?